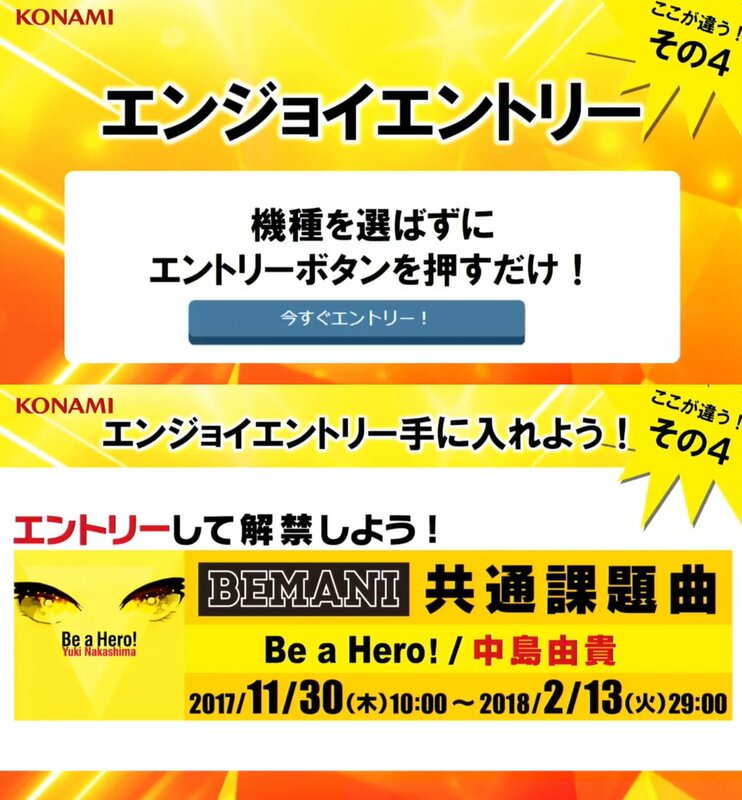 On this morning’s BEnama livestream, KONAMI has announced the start of the 7th KAC. Qualifiers for all games begin tomorrow, 11/30. For DanceDanceRevolution, one person from USA, Korea, Asia, and a few Japan regional finalists, plus the defending champion, CHRS4LFE, will advance to the finals. 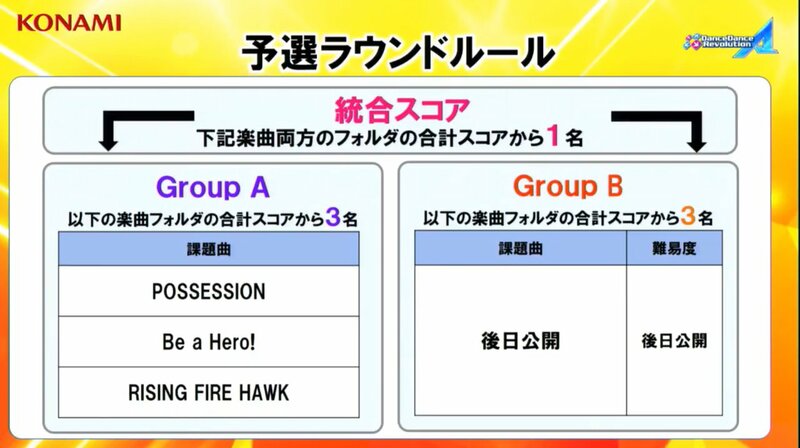 So far, Group A of the qualifier is known to be POSSESSION, RISING FIRE HAWK, and a brand new song that will be used across all games, Be a Hero! by Yuki Nakashima. Japan region will have two regional preliminaries and a “Last Boss” Champion fights. An “Enjoy Entry” will be available for those who want to play the new song, but aren’t looking to get into the finals.